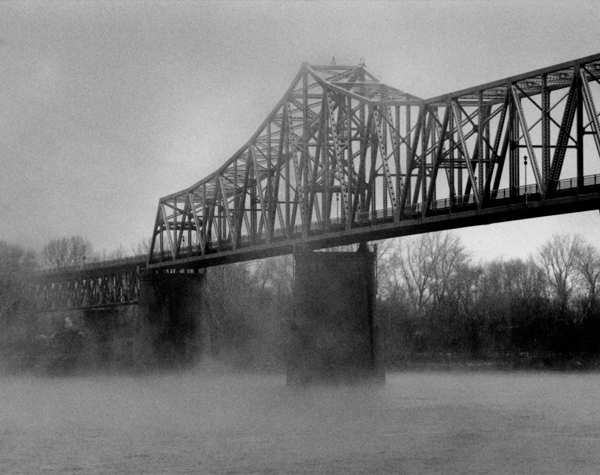 The bridge that spanned the Ohio at Owensboro, Kentucky, was a mystery to many on the Kentucky side of the river. It served a purpose, connecting the farms and small towns of southern Indiana to the third-largest commercial center in Kentucky. But it amazed us how many longtime residents of that western Kentucky town never once drove across. Surely curiosity about a neighboring state was worth a few minutes and a dollar's worth of gas. We lived in Kentucky more than three years in a house on a hill looking across the Ohio into Indiana. The urge to explore was much too strong, and we often traversed that bridge and many other roads leading out of town.